It’s 2017 and I’m kind of glad that the whole festive period has ended for at least ten months to be honest. The festive period has proved to be very hard on me personally and I know that it has been quite the struggle for those who struggle with their mental health. But I’ve come to conclusion, a positive one – It’s okay to not feel okay. "You all are very strong, determined, beautiful and courageous." For me personally it was quite the struggle and still is actually, being recently diagnosed with Bipolar Disorder. As I already was diagnosed with Generalised Anxiety Disorder, OCD, PTSD and Depression this left me in a weird place. But there are a few things I’ve learnt over the festive period. 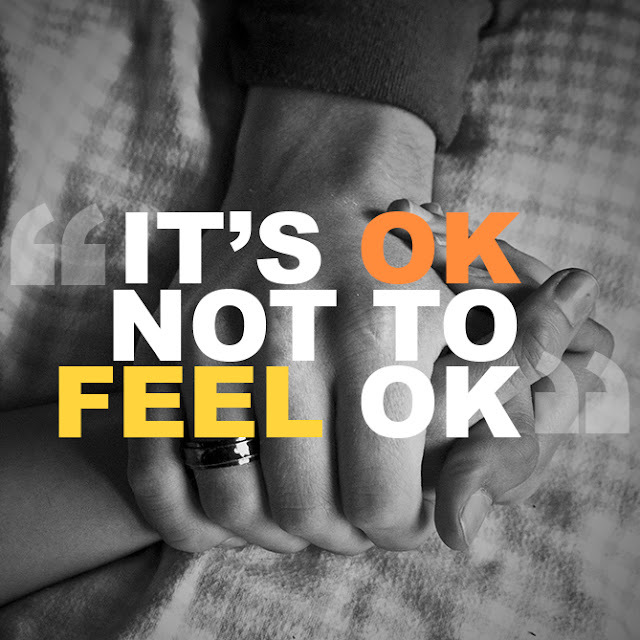 It’s okay to not feel okay, that’s something I’ve heard quite a lot and there is so much truth to that I feel. We are living in a society that expects us to be happy and content, if you are different from that particular view, many view you as not normal. Especially around the festive period there is this ridiculous big pressure that one has to feel positive, happy and full of life. I think that’s quite wrong to be honest. Accepting is key and of the hardest things to do, but it’s okay to accept that you are feeling down, anxious or else. It’s perfectly okay to take a step back, to take a moment for yourself. To retreat and look after yourself. It’s all about self care and self love, which are both very important. It is embedded in our minds that to take rest or to have time for yourself, equals giving up or being weak. Giving in to your mental health issues, problems or mental illness(es) is not the end of the world. It doesn’t define you, it’s perfectly okay to have some rest. In fact, you have to take care of yourself, without the self care and self love, you might get worse. You are mental health warrior and I always say; it’s not about winning or losing battles, it’s about winning the war. Talking about mental health can be difficult for both sufferers as non-sufferers, but in a way we all deal with consequences of how sufferers are perceived in society. Not only in the UK or The Netherlands or the United States, this is a global ‘problem’. You are not weak, you are not perceived as having other sexual preferences if you do talk about mental health. It’s all okay. It’s time to stop ignoring the fact that we have feelings. More important, it’s time for society to see all men and women as equals. Mental health problems or not, it’s okay to take some time for yourself. Talk about it, let people know you are not okay. Let people know you have to take a step back, there are many people who will try to understand and help you where needed. I know I will try to help you, always. You all are very strong, determined, beautiful and courageous. If you can’t handle for a bit, take some rest. You will grow stronger and you will be more powerful in the end. You are worth it. You have survived 100% of yours worst days, you will get through this one too. What do you do when you are having a rough time?